"Here, for the first time, is the entire history of Islamic jihad activity from the beginning of Islam to the present day – from Spain to India, from Muhammad’s massacre of Jews at the Khaybar oasis in Arabia to the hijacked jets taking down the World Trade Center, and beyond. 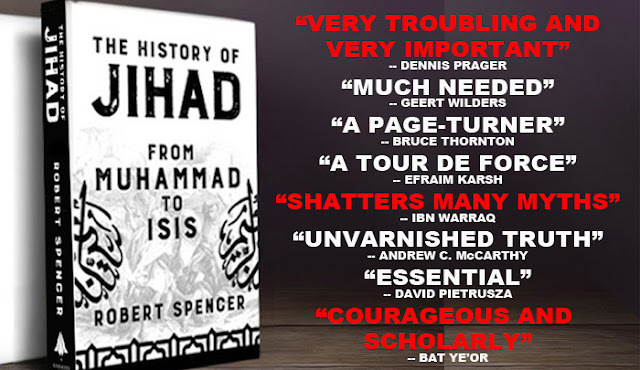 Told in great part in the words of contemporary chroniclers themselves, both Muslim and non-Muslim, The History of Jihad From Muhammad to ISIS definitively proves the falsehood of the prevailing assumption that Islam is fundamentally peaceful and that jihad terrorism is relatively new. This book is the key to understanding the geopolitical situation of the twenty-first century, and the challenges that free nations will be facing for generations to come.